Chicken is the go-to protein of choice in many households. In this home however, its never been my first pick. Ok, so I know what everyone thinks about chicken. 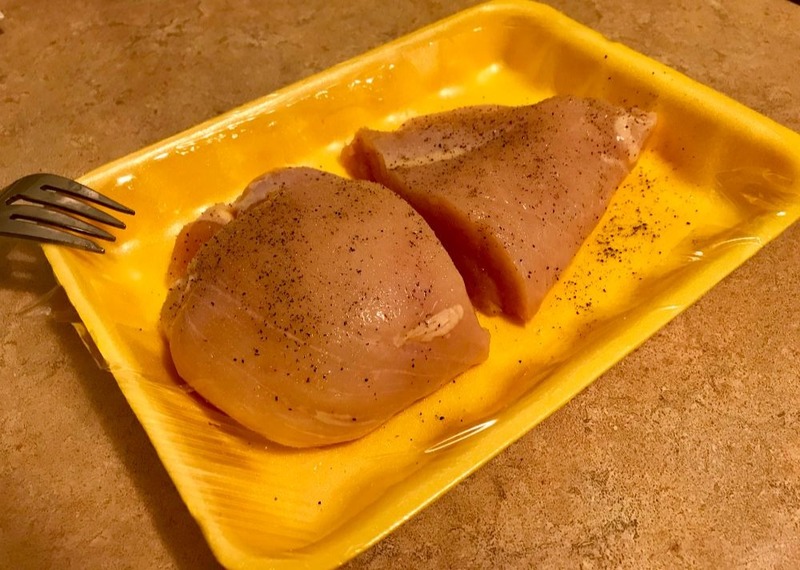 It’s affordable, goes with practically everything, and it can be a healthy option if we go with the boneless, skinless (dry, sigh) white meat. Despite all of the above I just can’t bring myself to truly loving chicken. But wait just a minute and allow me to be as clear as a sunny day, I’m not trying to say that I hate chicken. Hate would be such a strong word for that innocent feathered friend that never did anything to me anyway. I simply don’t prefer it over say red meat or pork chops and I’ve been like that ever since I can remember. As a young girl I think the only time I really enjoyed chicken was when my mom would make her whole roast chicken. The woman seems to have that recipe down to a science and her roast chicken has never failed to bring joy to my tummy. Anyway, I know I can’t eat red meat and pork chops every day, or at least that’s what my parents tell me, so I’m always trying to come up with chicken recipes that I can bring myself to truly enjoying. 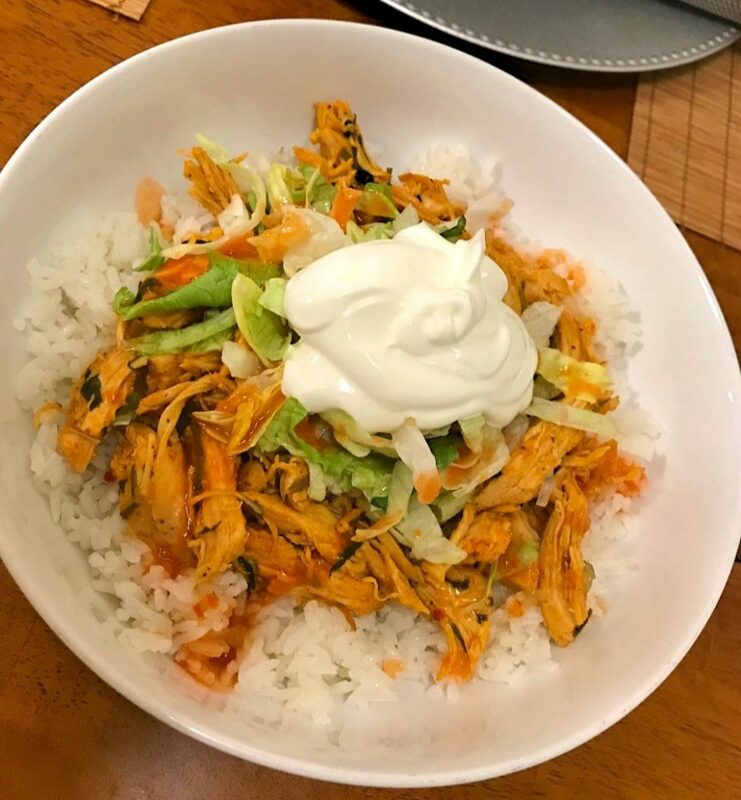 This shredded chicken and rice bowl has become one of those go-to chicken recipes at dinner time. 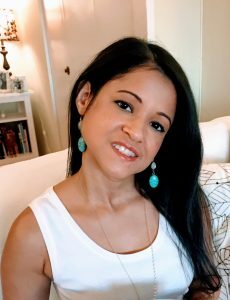 Its easy, fun and husband approved. All that together makes it a winner in my recipe book, and by recipe book I mean the notes app in my iPhone along with some post-it notes scattered all throughout my kitchen. The ingredients list is short and easy to find at your local supermarket. I start by seasoning a large chicken breast with salt and pepper and then browning it on both sides. I hate the oil splatter so I try to keep the lid over the pot as much as possible. Sadly I haven’t found a splatter guard that works great but doing this seems to help. I then finish cooking it through over low heat. Once it’s done I shred the chicken with a knife and fork, throw it back in the pot and add in the tomato paste and white cooking wine. Let that cook another few minutes to let the flavors mingle and the chicken is done! 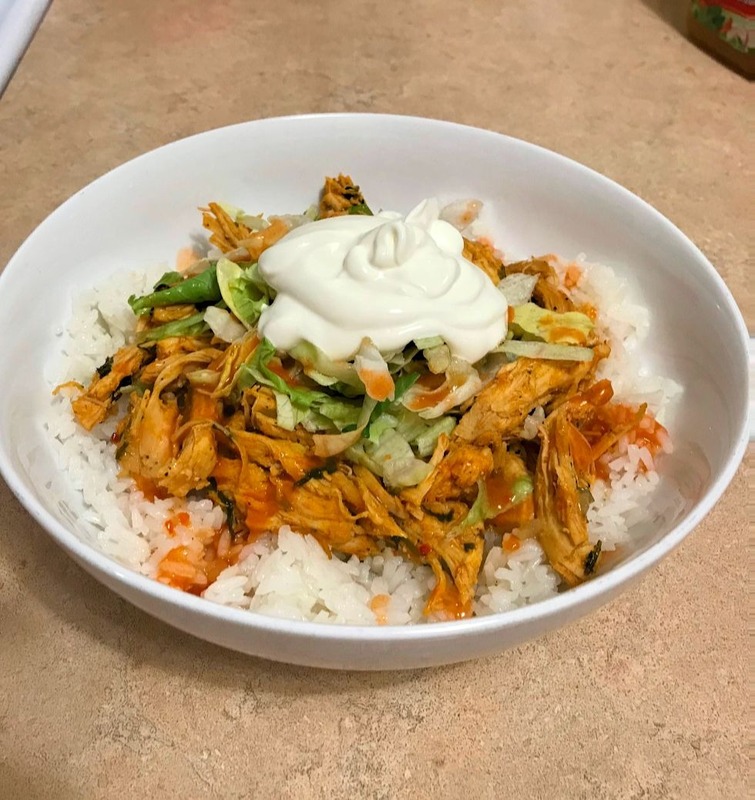 I serve it over a bowl of white rice and top it with shredded lettuce, sour cream, Italian dressing and hot sauce. Below is the full recipe but I should warn you, I don’t really measure when I’m cooking unless it’s for baking. I guess I get it from my mom. She probably doesn’t even know what a measuring cup is. Oh wait she does, its called the old coffee mug she never uses for coffee anymore. Another important thing to mention is that I don’t consider myself a professional cook at all. I’m just cooking for me and my husband so I’m sure I’m breaking all sorts of culinary cheffy rules when I’m cooking but that’s ok because at the end of the day it still tastes good. By the way, did you know that the word cheffy is now in the dictionary?? Anyway, I will try my best to explain what I do but please ask questions if you are unclear about something. 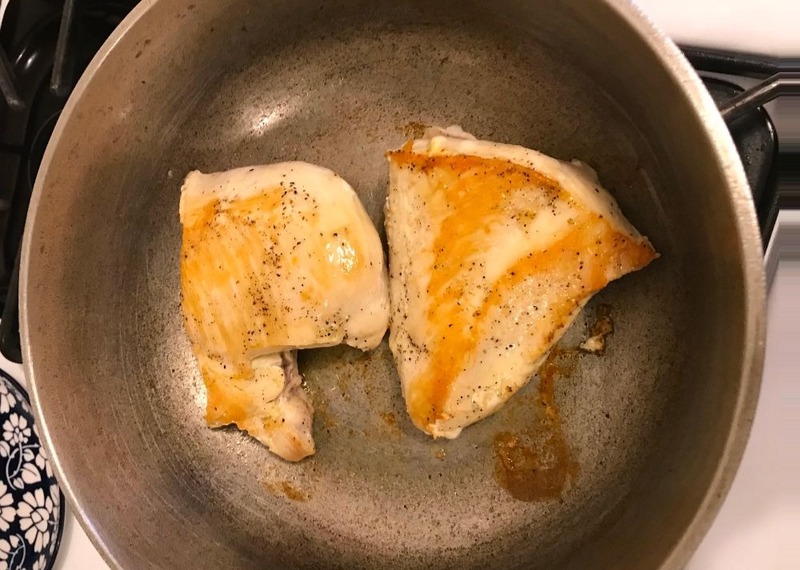 Cut your chicken breast in half (for faster cooking) and season with salt and pepper on both sides. Brown on both sides with about half a tablespoon extra virgin olive oil, or whatever oil you prefer, on medium-high heat. Mine took about six minutes on the first side and about four on the other side. Cover the chicken and cook on low heat for about 15-20 minutes. Now comes the shredding part. 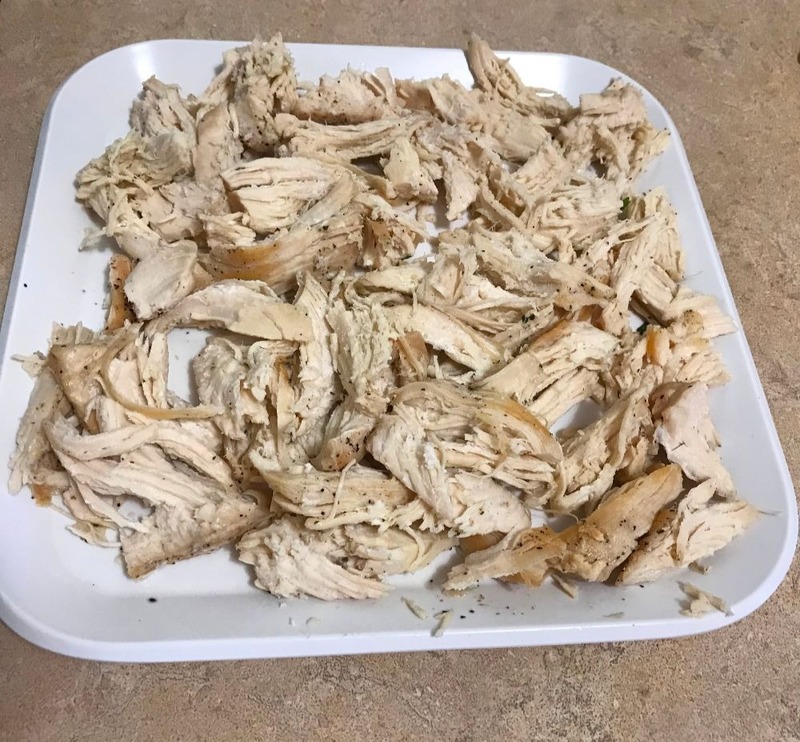 Remove the chicken from the pot and shred it with a knife and fork. Add the shredded chicken back into the pot, stir in the tomato paste and cooking wine. You can use chicken broth or white wine if you prefer instead of the cooking wine since it’s high in sodium. I don’t cook very much with cooking wine and I think it gives the chicken a nice flavor so I don’t mind using it for this recipe. Then cover it for another few minutes to allow the flavors to combine. 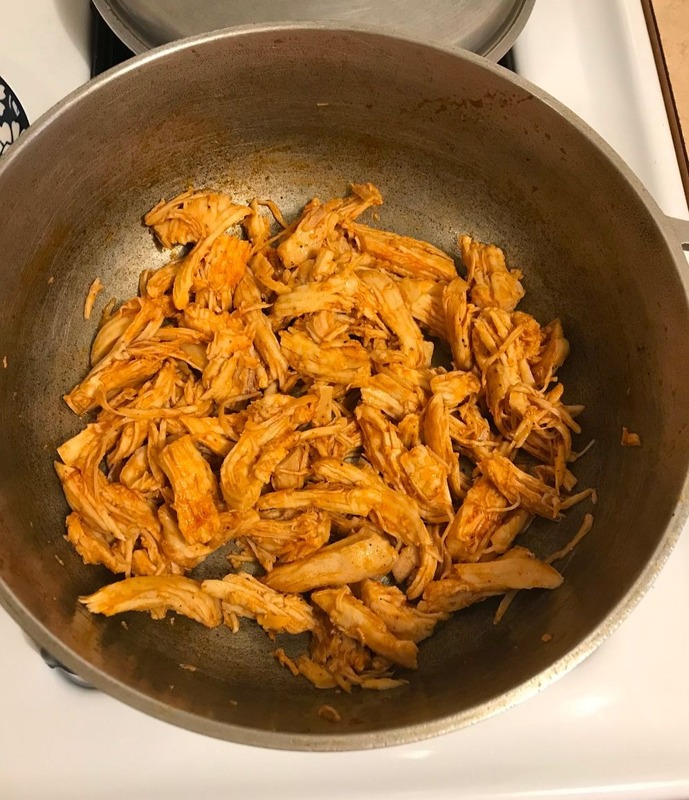 I had some cilantro in the fridge so I chopped that up and added it to the chicken along with a drizzle of extra virgin olive oil before I covered it. This is optional though. 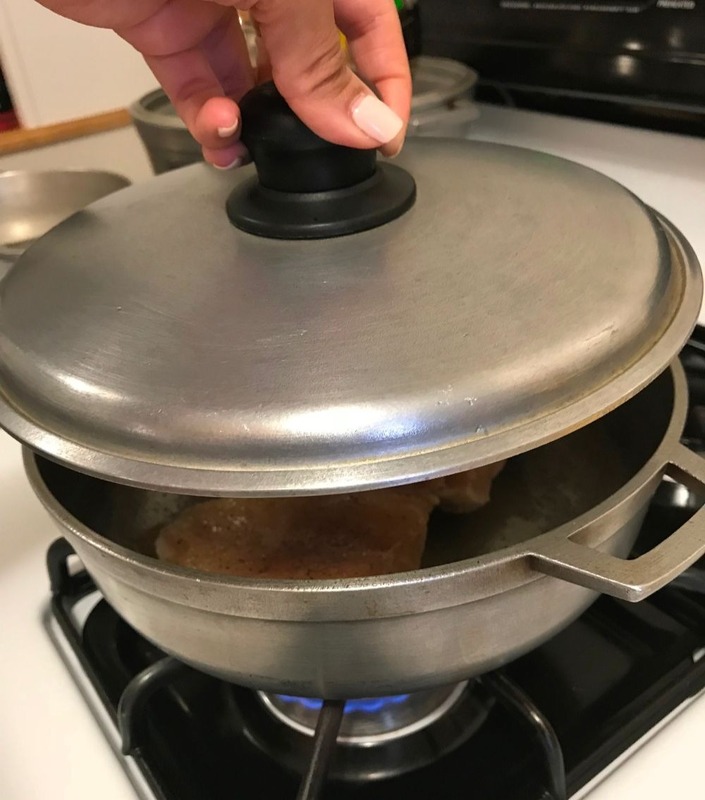 Once the chicken is done you can serve it over white rice. 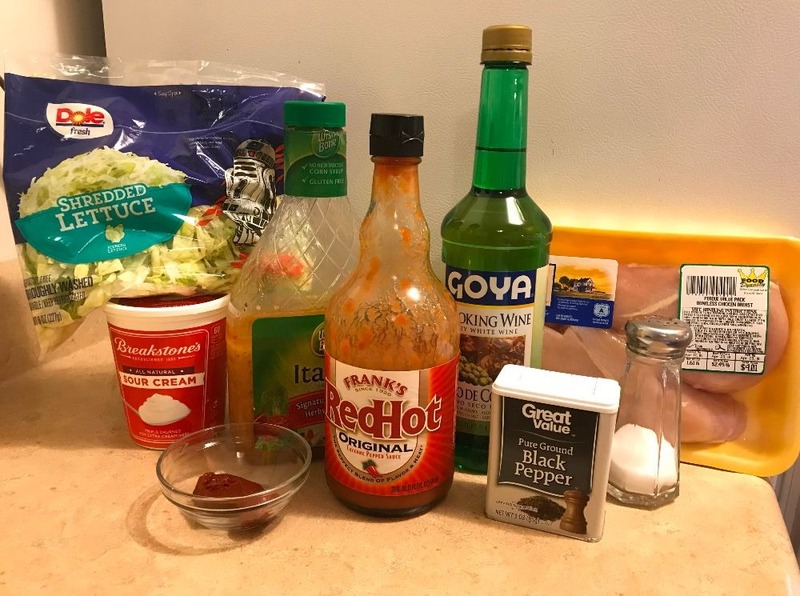 Top the chicken with shredded lettuce and give the lettuce a few dashes of Italian dressing. Then top the lettuce with some sour cream and finish off with a few shakes of hot sauce over everything. That’s it! Hope you try it out! 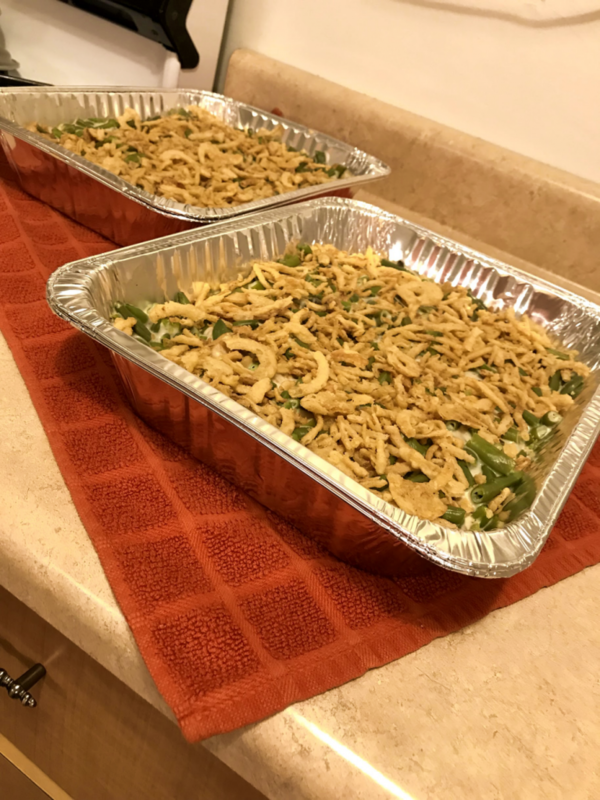 This is one of my favorite meals and a very easy clean up at the end since not too many pots and dishes are involved.